Width (side to side) 54"
Depth (front to back) 42"
Max. Depth (with Leaf/Leaves) 54"
Leaves One 12" leaf extends table from 42" rectangle to 54" square. Case Construction Constructed from Rubberwood Solids and Pine Knotty Oak veneers. Handles & Hardware Antique Pewter Metal Inserts and Hardware. Description: Top Driftwood Top with Plank Styling. 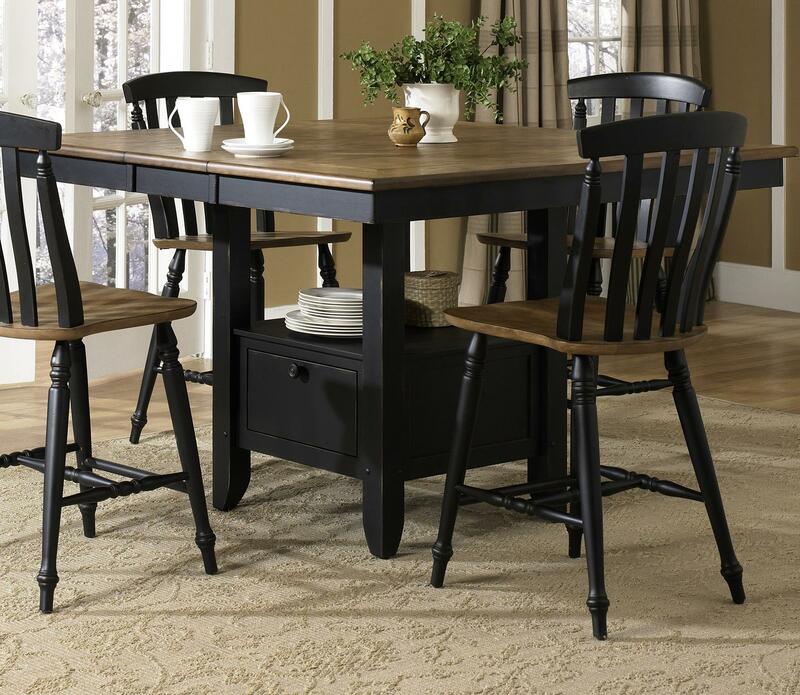 This gathering table is a cozy and cottage-like counter height table that makes a lovely addition to the dining or pub space in your home. Featuring a beautiful two tone finish and lower storage space, this table combines smart storage and cozy style with just the right mix. A lower drawer and shelf are perfect for placing dining accessories or home accents, making this table convenient in addition to visually appealing. 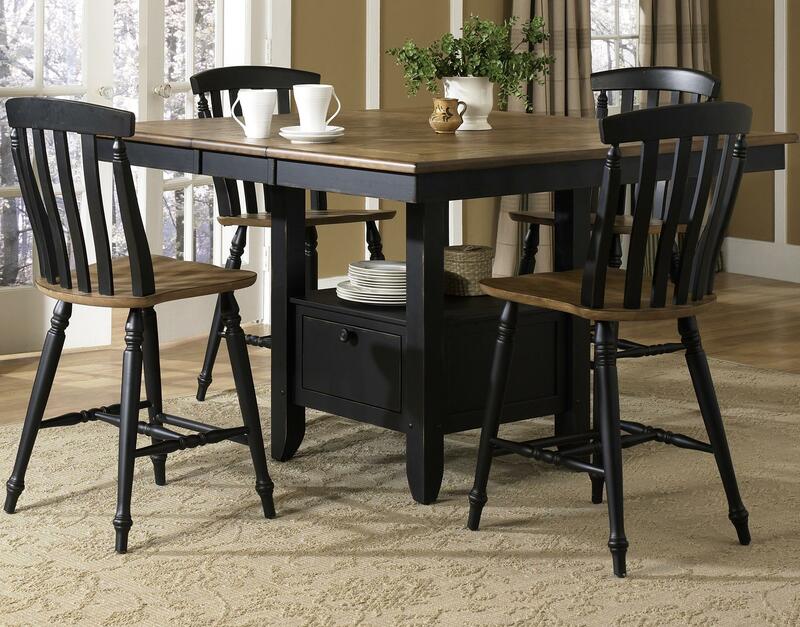 Place in your home to complete a traditional and tasteful feel for your dining room.